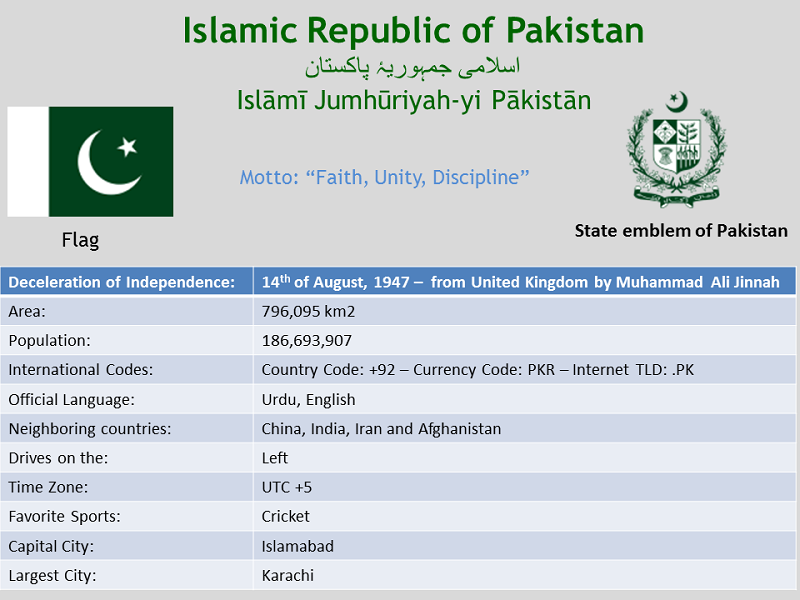 Pakistan or Islamic Republic of Pakistan is a sovereign country in South Asia. With a population exceeding 180 million people, it is the sixth most populous country and with an area covering 796,095 km2 (307,374 sq mi), it is the 36th largest country in the world in terms of area. Pakistan has a 1,046-kilometre (650 mi) coastline along the Arabian Sea and the Gulf of Oman in the south and is bordered by India to the east, Afghanistan to the west and north, Iran to the southwest and China in the far northeast. It is separated from Tajikistan by Afghanistan's narrow Wakhan Corridor in the north, and also shares a marine border with Oman. 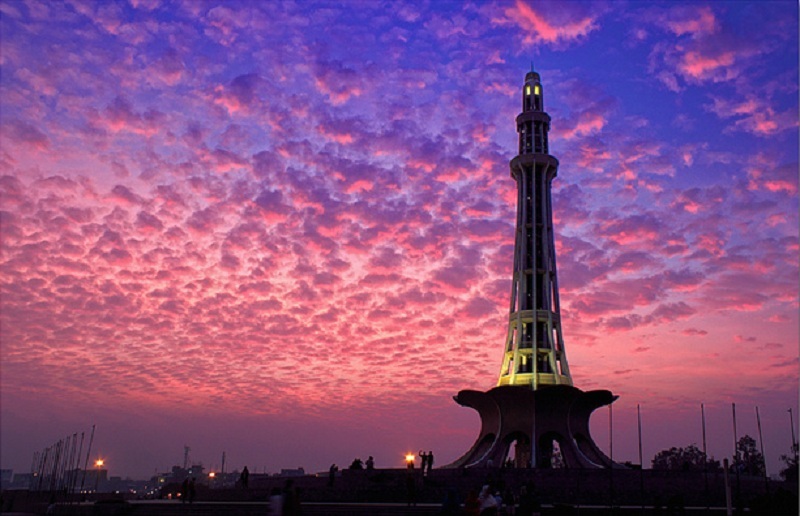 Minar-e-Pakistan (Urdu: مینارِ پاکستان‎ / ALA-LC: Mīnār-i Pākistān, literally "Tower of Pakistan") is a public monument located in Iqbal Park in Lahore, Pakistan. The tower was constructed during the 1960s on the site where, on 23 March 1940, the All-India Muslim League passed the Lahore Resolution, the first official call for a separate homeland for the Muslims living in the South Asia, in accordance with the two nation theory. 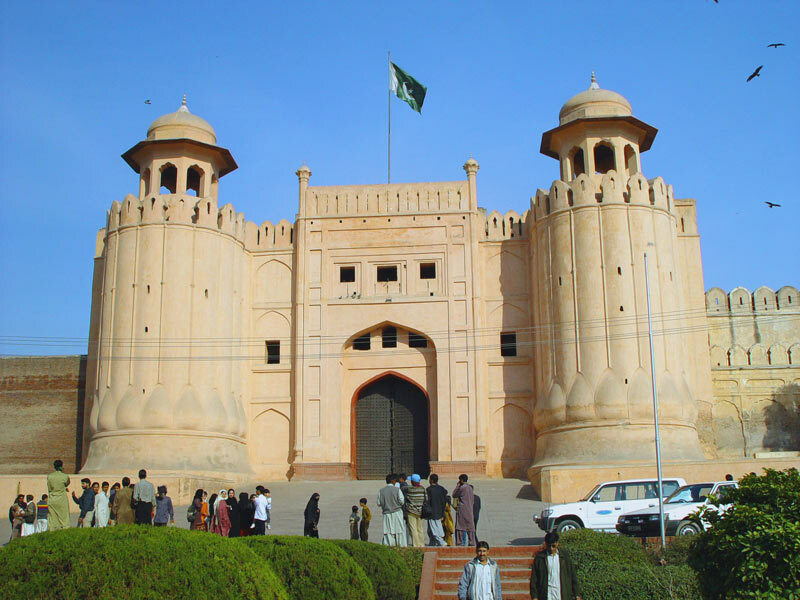 The Lahore Fort, locally referred to as Shahi Qila (Punjabi, Urdu: شاہی قلعہ‎) is citadel of the city of Lahore, Punjab, Pakistan. 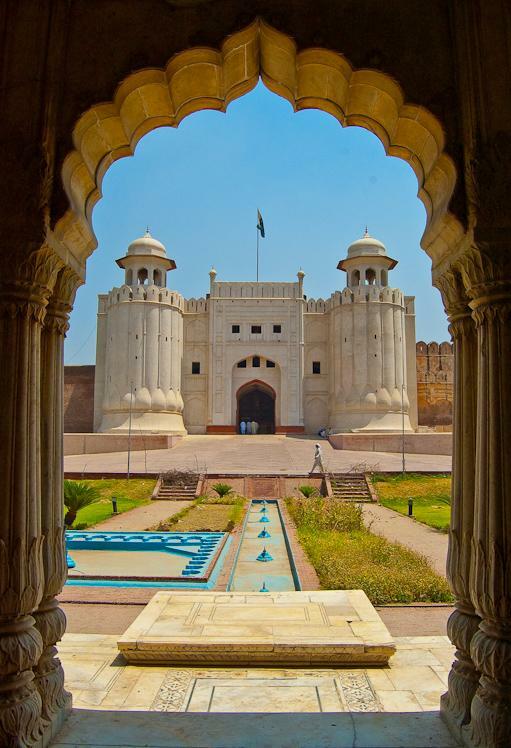 It is located in the northwestern corner of the Walled City of Lahore. The trapezoidal composition is spread over 20 hectares.